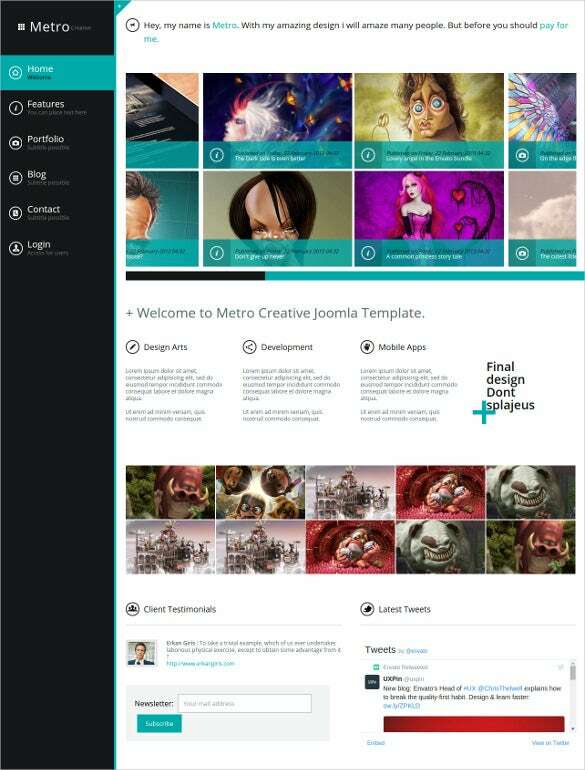 You will find an astonishing collection of metro style html5 website templates which strictly adhere to the Metro UI guidelines. This guarantees exquisite performance coupled with a crisp modernistic design. These metro style html5 website templates open up a world of possibilities by magnifying the social connectivity options. 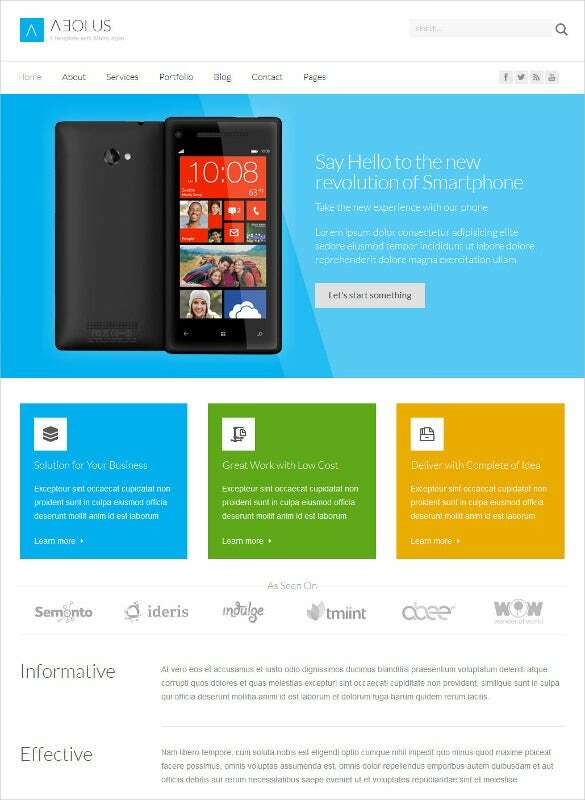 You May also visit Responsive HTML5 Themes. There are interchangeable themes, social links, cross browser compatibility, powered with Bootstrap Frameworks. The intuitive designs coupled with Zen framework integration, bootstrap bootbox, jQuery cookie integration, jQuery validation, jQuery knob plug-in, jQuery MiniColors, jQuery UI Touch Punch, Jansy Bootstrap, Data Cables Plug-in and Cubic iScroll, are the best options for any web developer. 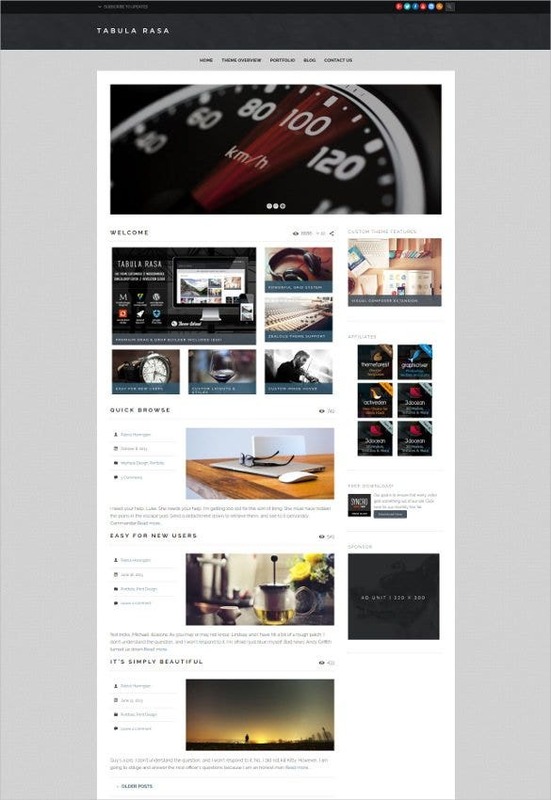 You May also visit New HTML5 Themes. 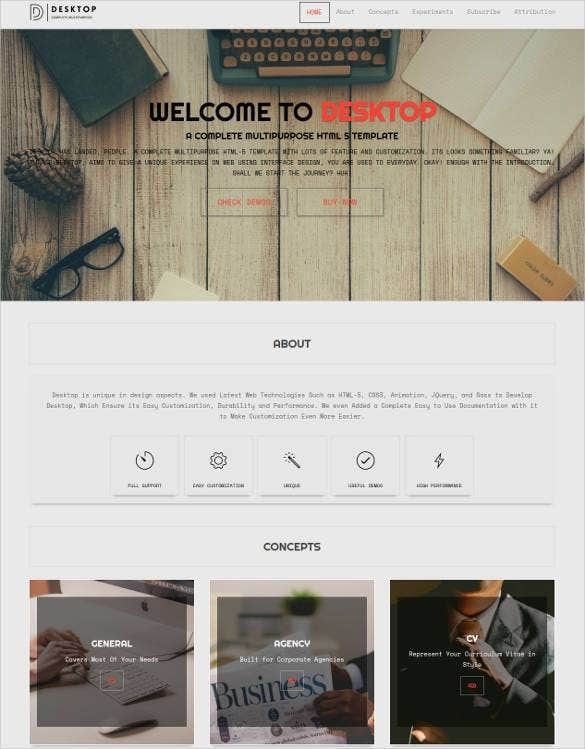 For anybody who wants to make a website and needs a stylish website template which has all the features readily inbuilt, this particular well-designed metro style Bootstrap responsive template is a best bet. Gridz, a stylish template is sure to grab your attention with its creative design. Designed with HTML5 and CSS3, it is responsive in nature and highly customizable. It comes with included PSD and documentation. 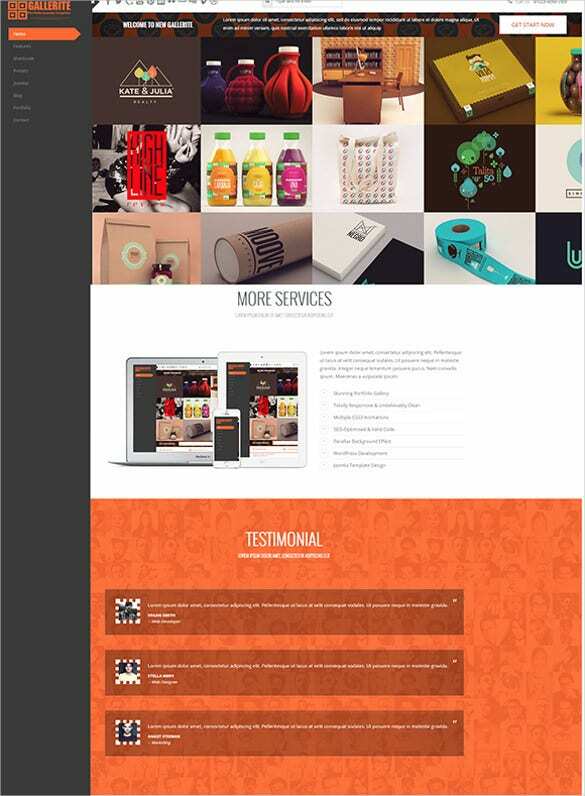 This one of the best creatively designed website templates which you would discover goes well with all kinds of website. It is essentially is designed with HTML5 and CSS3 technologies. The responsiveness is highly rated and is easily customizable. Check out this yet another exquisite avatar of a website template, which has all the attributes and qualities that one would ask for in a website template. As the name suggests, it is a multipurpose template, so all of the essentials in it combine to give you the best user-friendly experiences. 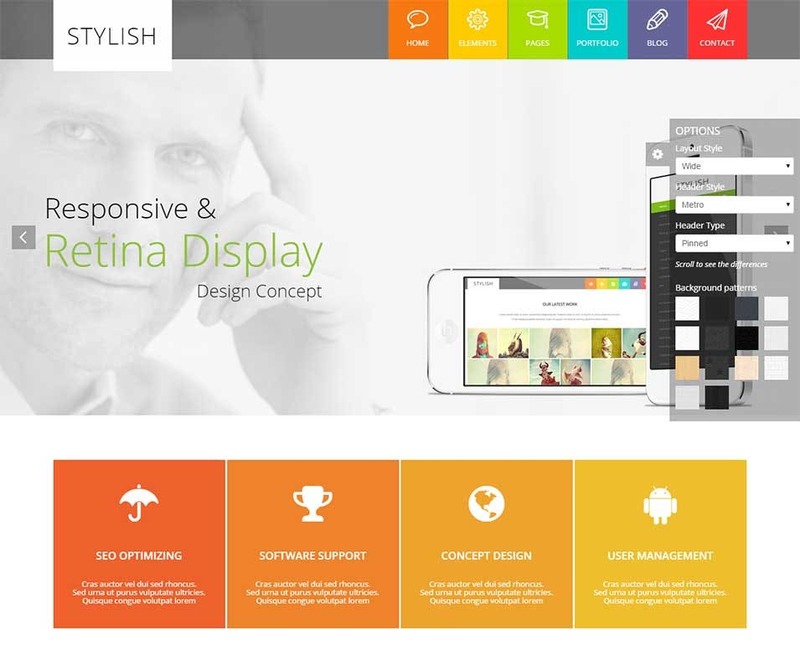 Built with HTML5, CSS3 and Bootstrap, Stylish is 100% responsive and retina ready. Google Maps and layout animations are integrated into it and it also comes with hundred of icons and fonts. 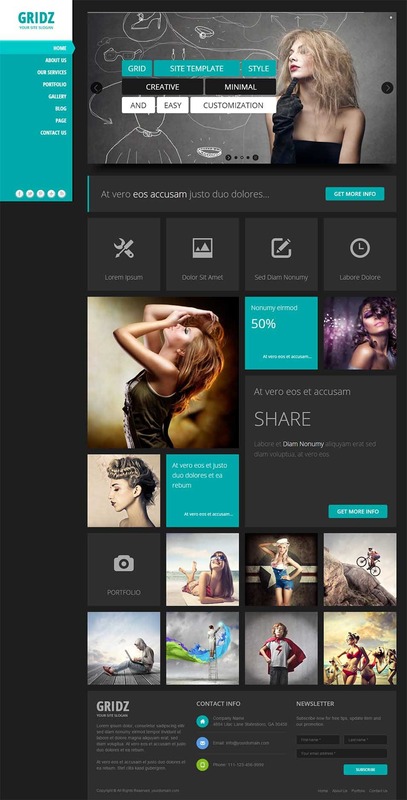 This template example is designed with HTML5, CSS3 and Bootstrap. It is very innovative in its appearance, is fully responsive and retina ready. The template has pre-defined integrations with Google Maps and layout animations, and is equipped with hundreds of icons and fonts. Joomla powered websites are powerful, and this particular template design has been developed using a mix of technologies including HTML5. This template has a sleeky clean design and is armed with all of the necessary features. 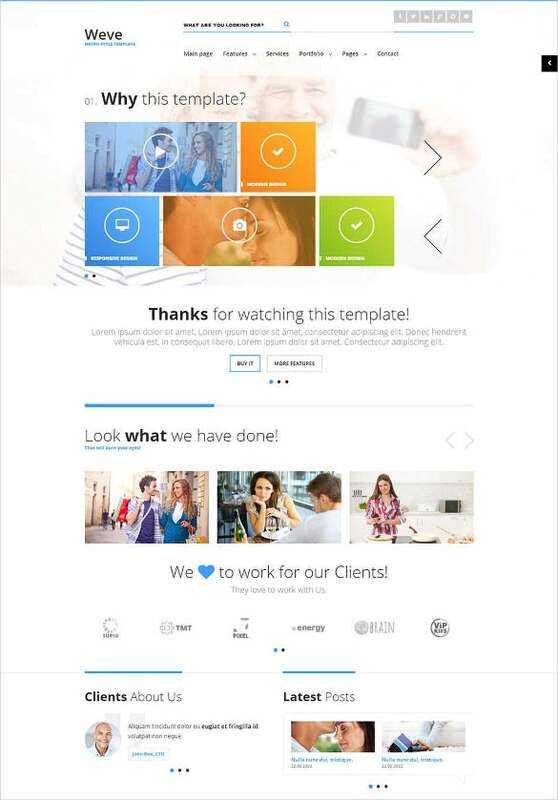 you may also see Joomla Website Templates. 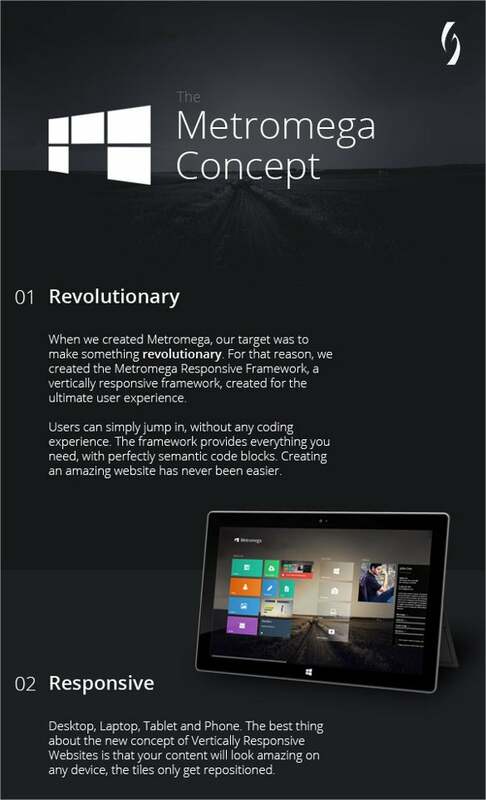 This HTML 5 Metro template is a path-breaking design and has revolutionary written all over it. With this template, you are guaranteed that you website will look amazing on any device – desktop, laptop, phone and tablet. 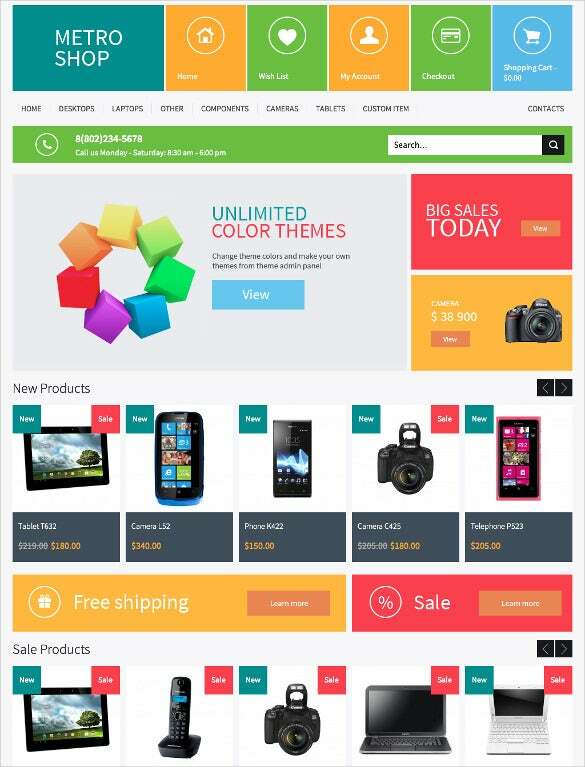 If you’re a fan of innovative themes then this Metro Prestashop HTML5 stylized theme is a powerful choice. Rest assured, your website’s interface, layout and complete appearance would be extremely well-endowed with the template’s inbuilt features. 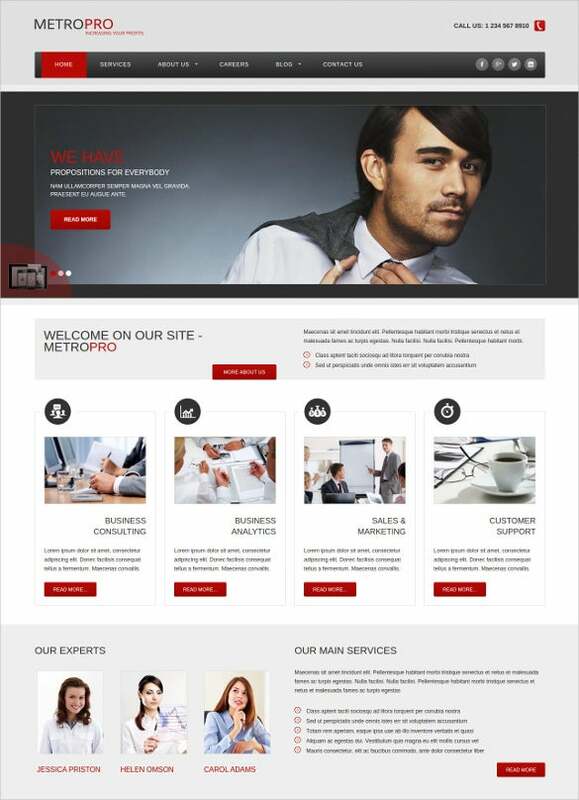 This metro style template is one the best things you can do for your website. With this template in your hand, you can very easily and creatively the look, design and overall composition of your website project. Yet another avatar of the metro style template, this has very straightforward and no-nonsense layout. It is creatively put together and has very good response rate. If you’re looking to launch a magazine-inspired portal, then this particular template should be your choice. It has the same feel as a magazine website would have, and of course the plethora of HTML5 features make the experience even better. In the long list of all the latest html5 css3 free templates, this particular template is one more of the most stylish avatars which is easy to work with and the responsiveness rate is amazing! 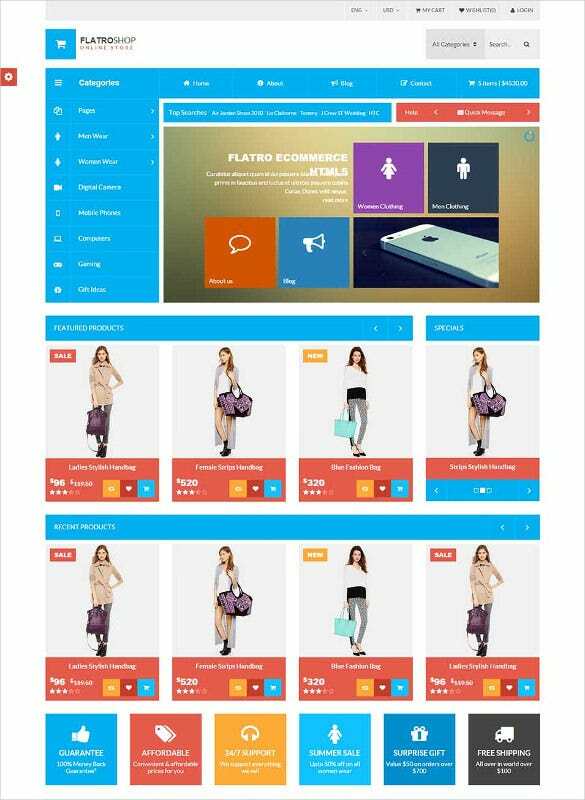 This HTML5 theme with its minimalistic and clean design is fully responsive and retina ready, thus ensuring high end user experience irrespective of the choice of the device. With features like multiple layouts, integrated widgets, custom post types and custom page templates, designing a user friendly website seems like child’s play with this theme. As with most other metro style websites, this template is a good fit for those looking to launch an ecommerce venture on the Web! You cannot go wrong with this one. 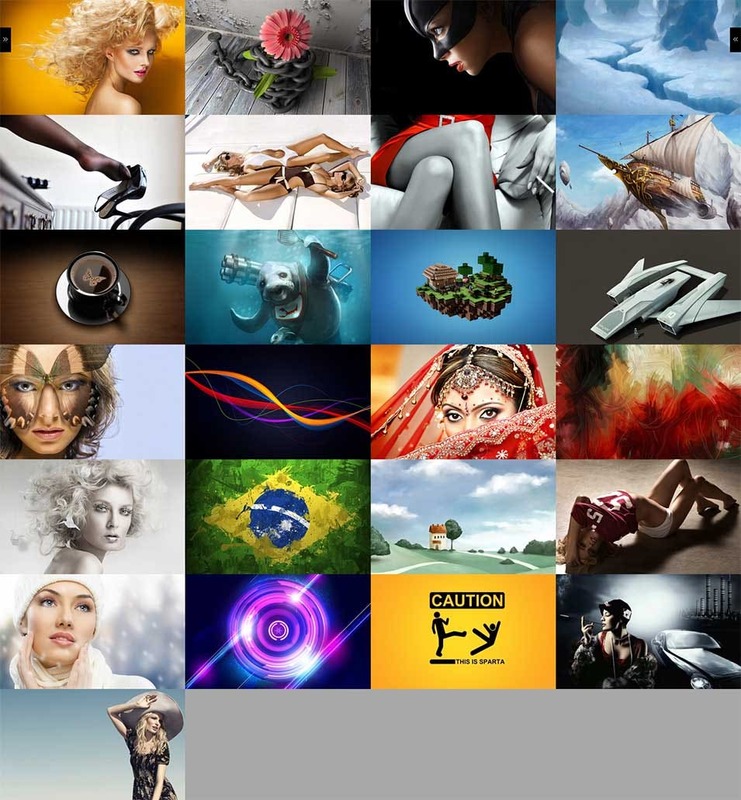 Showcase your work portfolio of design in the best and creative ways by putting it up on your own professional website. This particular template has all of the knicks and knacks to help you achieve the traffic you want! 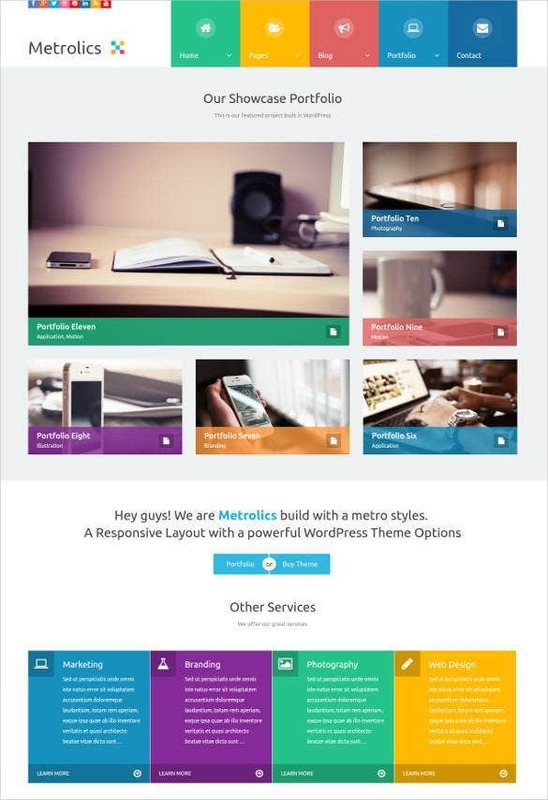 This is one of the very best bootstrap metro ui free templates. Armed with a responsive layout, plugins, 5 color skins and 600 fonts, this one is easy to customize and is a well-packaged template! If you are thinking of creating an online portfolio, there can be no better choice than this highly responsive Joomla website theme. 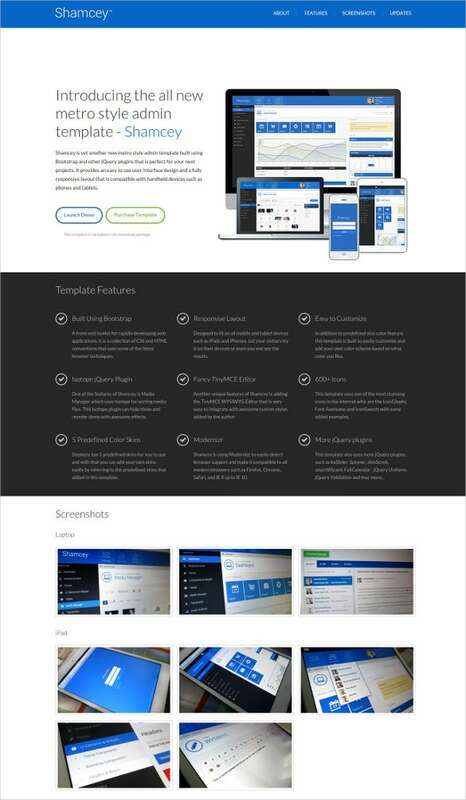 Created on Helix II framework, this template offers a powerful admin panel along with a wide range of customization options, thus helping the user to design a website with ease. Endowed with a chic MetroUI design, this is a fully responsive template that has been created using the features of HTML5 and CSS3. 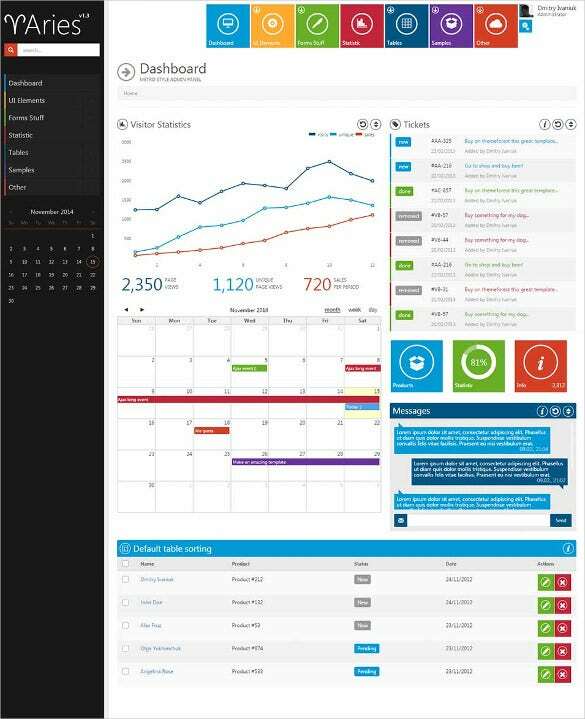 The powerful admin panel with lots of customization options and convenient navigation helps the user to make changes to all the elements thereby enabling him to create a unique website. 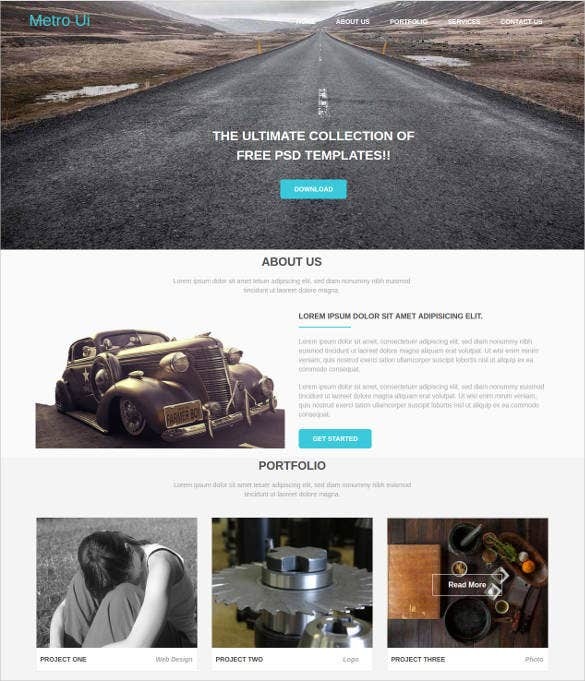 This is one of the best multipurpose HTML5 website templates that has been designed with Joomla, and is perfect for creating online portfolios, galleries and blogs. With features like 4 exclusive extensions, various kinds of layouts, metro sliders and 29 module positions, designing an impressive website becomes easy. These templates come equipped with completely responsive html5 designs which allow them to be completely functional on any electronic device. Besides the basic nitty-grittys, there are other options that make them the website builders’ irrefutable choices. These templates come with multiple layout options, color supports, hundreds of icons, multiple HTML pages and much more. 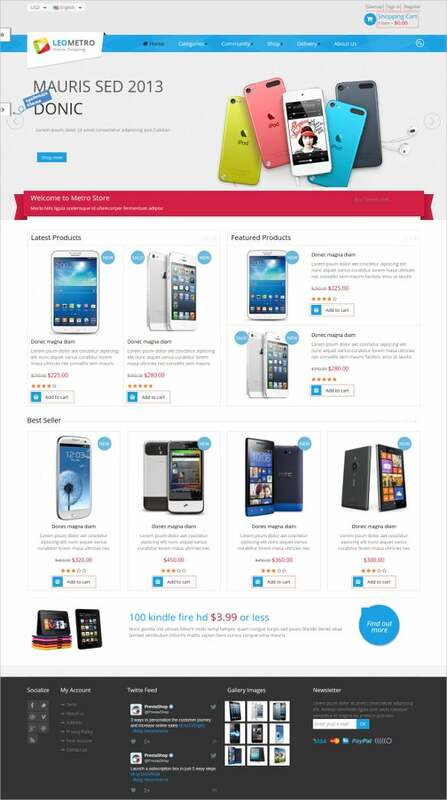 The clean and flat page designs offer easy and friendly navigation options to the visitors. Almost all of these templates are equipped with extensions which allow monitoring website traffic in the form of graphs and charts. 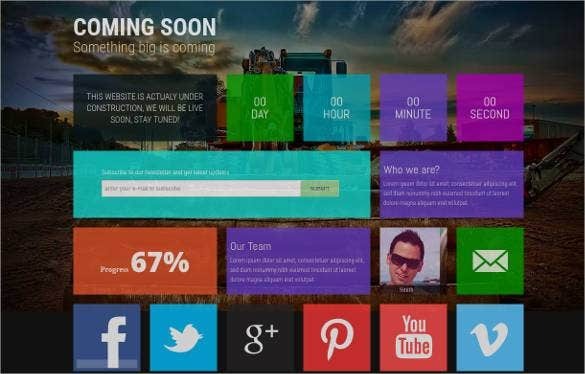 The utilities of these versatile metro style html5 restaurant website templates include social sites, real estate websites, events managers’ websites, e-commerce websites, medical advice websites, customer support or customer service websites, financial websites, content and media websites and much more. The flexibility of these templates allows them to be exploited by multiple fields to their complete potential.